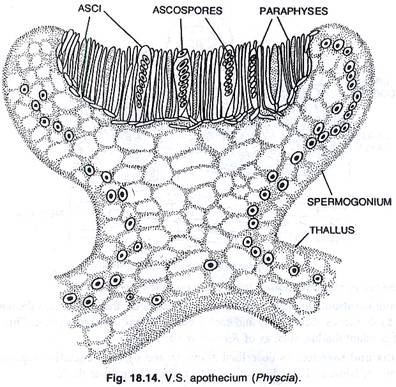 Ascocarp: A large saclike structure in which sexual spores are produced. 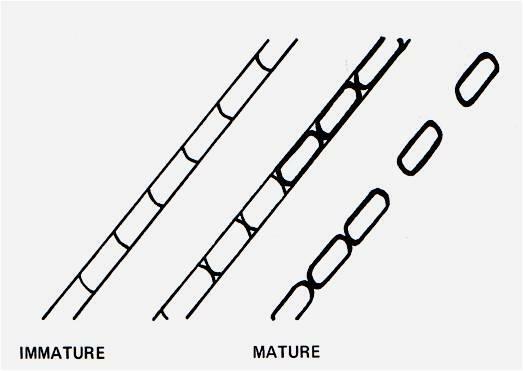 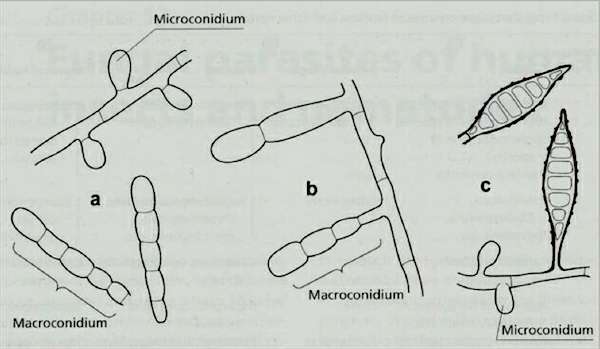 Asci: Smaller sacs within an ascocarp containing four to eight ascospores. 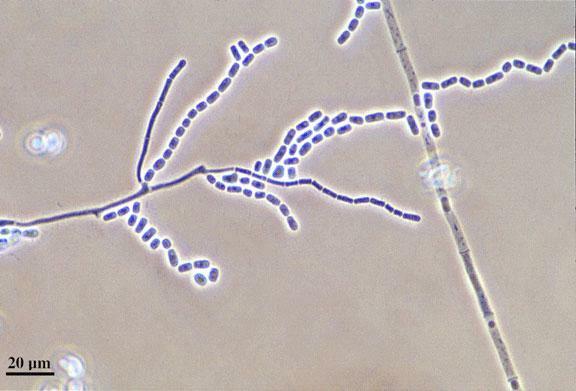 Arthroconidia: A spore that is formed from the hyphae by fragmentation. 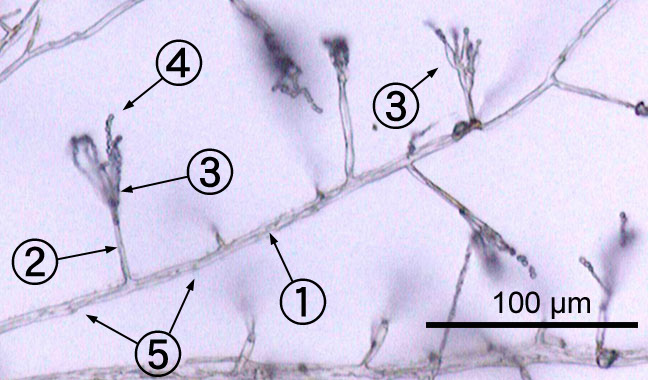 Microscopically, mature arthoconidia appear square. 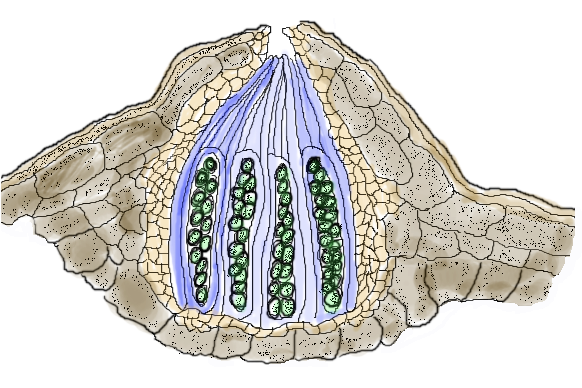 rectangular, or barrel-shaped with thick walls. 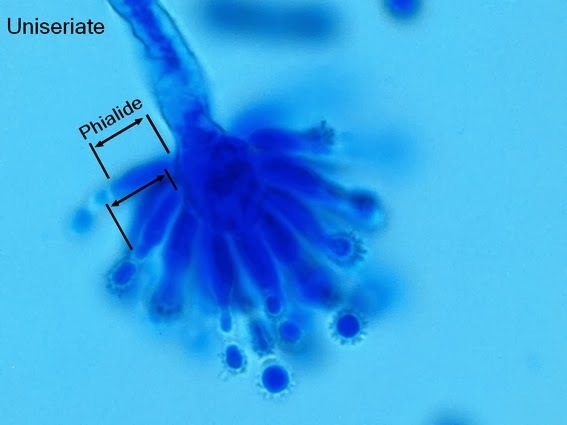 Blastospore: A fungal cell produced by budding. 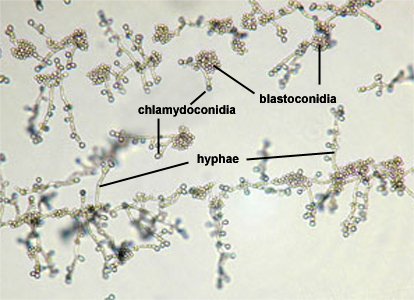 Chlamydoconidia: Round, thick-walled spores. 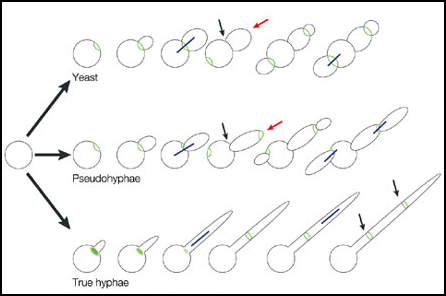 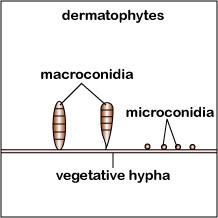 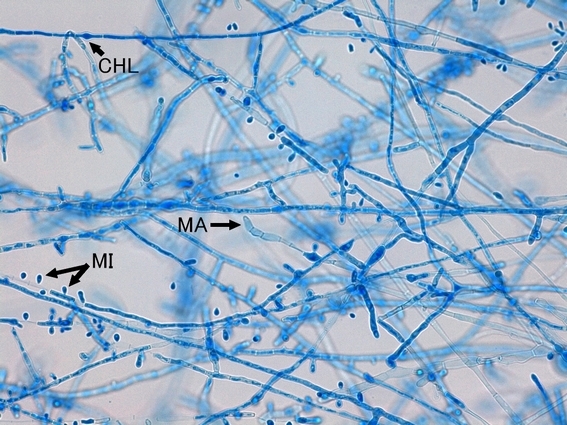 May be intercalary (within the hyphae) or terminal (on the end of the hyphae. 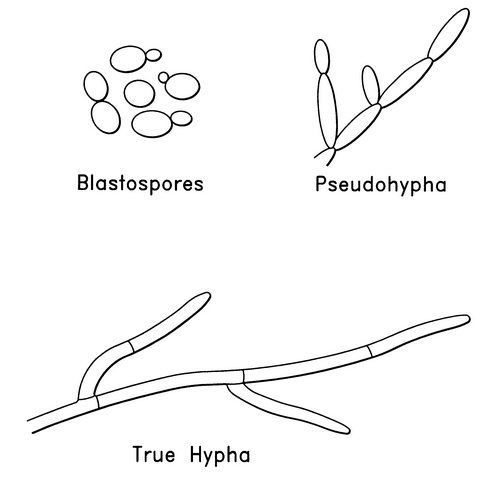 Conidia: Asexual spores produced singly or in groups. 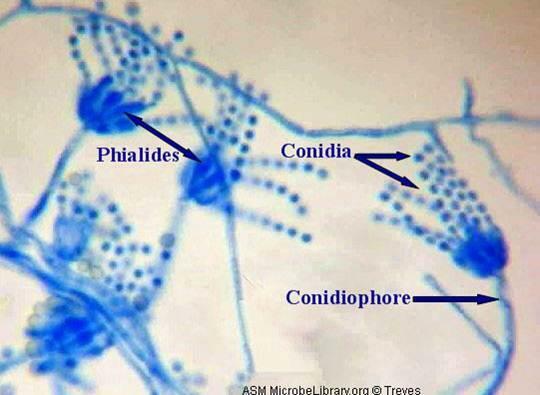 Conidiophores: Specialized hyphal strands that produce conidia. 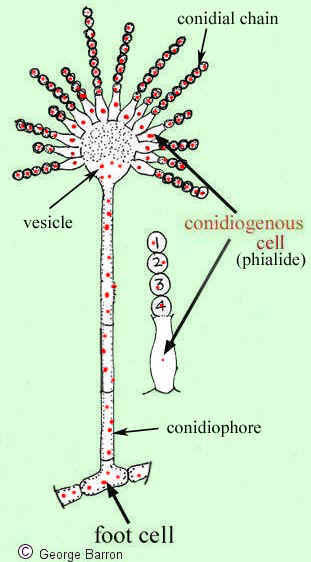 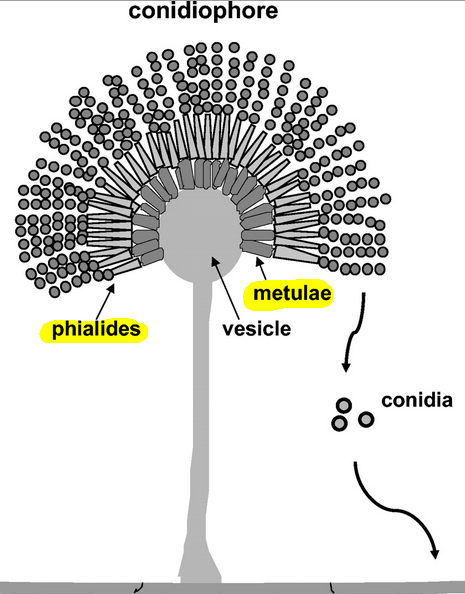 Phialide: A single, slender, tubular conidiophore. 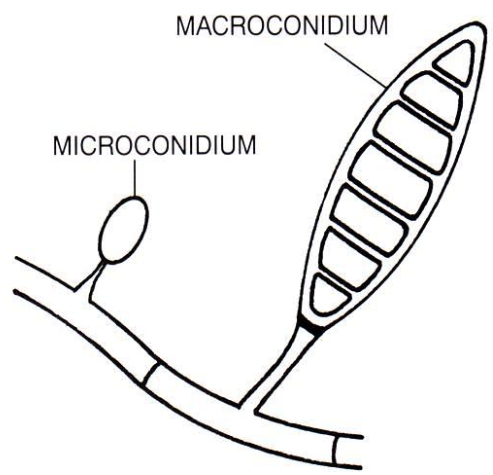 Microconidia: Small, unicellular conidia that are round, elliptical, or pyriform (pear-shaped). 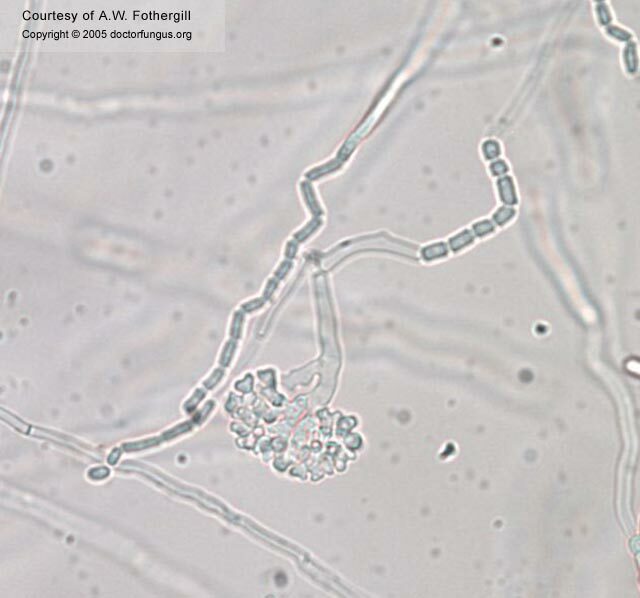 Macroconidia: Large, multi-septate conidia that are club- or spindle-shaped.